Just because you’re past your school days doesn’t mean you can’t share in the joy of knowledge. While Cumberland Valley is known for having great hiking grounds and trails for bikes, don’t spend your entire day outdoors. This Pennsylvania valley is home to several must-see, unique museums geared toward various passions, under two hours away from Philadelphia and Washington, D.C. From historic hotspots to a Rolls-Royce Museum, here are five of the coolest museums to visit. Planning on hiking through Cumberland Valley? 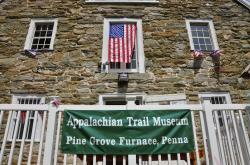 Get a head start with a trip to the Appalachian Trail Museum. While there’s no strenuous hiking involved, you’ll get the lay of the land along with lots of insights into the area’s landscape. It’s the only museum in the country dedicated solely to hiking. Plus, it’s located inside a 200-year-old grist mill in Pine Grove Furnace State Park and surrounded by plenty of nature. You’ll find exhibits spotlighting the early founders of the trail as well as profiles of early pioneers. Spanning a spacious campus that includes the U.S. Army War College Library, the U.S. Army Military History Institute and more, you’ll want to dedicate a few hours to experience the center in its entirety. If you’re looking for an immersive experience, opt for the mile-long outdoor Army Heritage Trail, which takes guests through interactive military exhibits. For a general overview, begin your journey at the Visitor and Education Center, where you’ll find interactive exhibits that shed light on the culture and experience of U.S. soldiers. 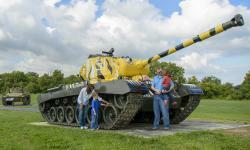 USAHEC hosts Army Heritage Days each May, a weekend-long living history event spread out along the one-mile trail. You don’t have to be a car lover to appreciate the Rolls-Royce Museum, but it definitely helps. Located on Hempt Road in Mechanicsburg, the 5,000-square-foot facility houses all sorts of fancy Rolls-Royce and Bentley motorcars. Groups are encouraged to take a self-guided tour of the museum, which usually takes 30 to 45 minutes, depending on your pace. For an insider’s view of what it takes to keep these cars looking shiny and new, there’s a functioning garage on site where technical seminars are hosted. 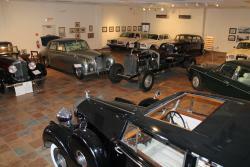 For a glimpse into what life was like in Cumberland Valley during the 1800s, pay a visit to the Mechanicsburg Museum. 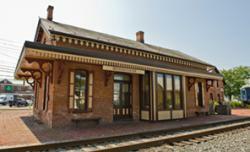 As part of the town’s history, the association preserves several historic buildings: 1899 Washington Street Station, the 1866 Stationmaster&apos;s House, the 1886 Freight Station, the 1867 Passenger Station and the 1801 Frankeberger Tavern. Entrance is free but guests are welcome to purchase books, toys and other souvenirs at the museum store. Located in historic downtown Carlisle, the Cumberland County Historical Society includes a library, museum, education center, photo archives and shop selling locally made items. 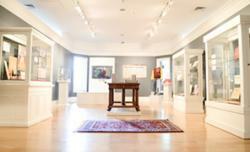 The award-winning museum encompasses 16 galleries, each serving as a visual guide to Cumberland Valley’s past. There are several ways to get involved, whether signing up for a walking tour, attending a lecture or participating in a workshop. Plan your Cumberland Valley adventure at visitcumberlandvalley.com.